Insulation for globe valves can help to de-stress steam systems and increase valve and system efficiency. 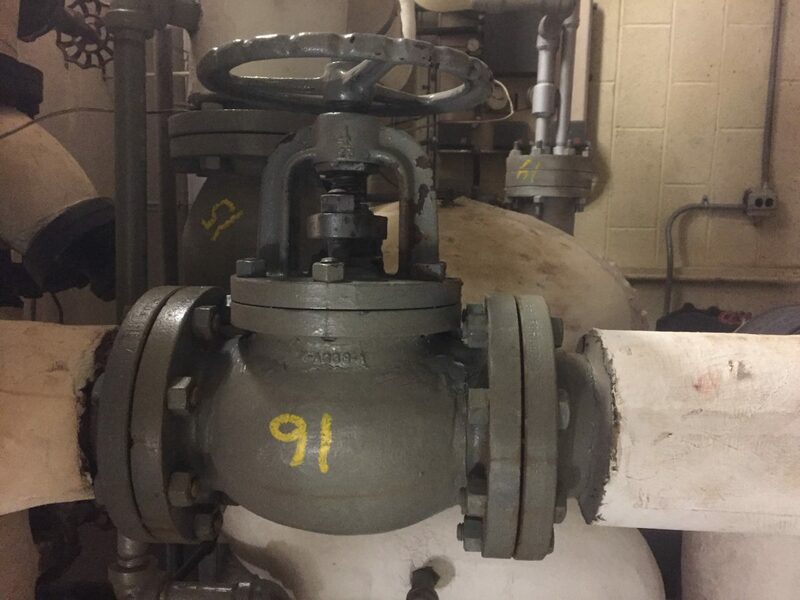 Globe Valves are components in pressure, fluid, and steam systems that make up a small part of the whole system, but can be a source of inefficiency if not properly insulated. Although traditionally globe valves featured an unmistakable spherical shape, modern globe valves still carry the same name even though they can have little to no globe-like appearance. The only major exception to this is in plumbing, where globe valves are commonly referred to as “stop valves”. Globe valves operate by driving a plug into an internal gap, operated by an actuator (typically, a handwheel) above the main body. When turned, the handwheel either raises or lowers the plug, which allows or restricts movement of steam, water, gas or other materials. 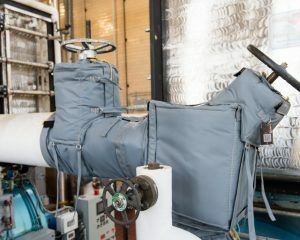 Because of their odd shape and the need to both have access to and make use of the valve, globe valves can not be insulated with stay-place-insulation and are often left completely uninsulated, though their counterpart components might be. This can cause chilled lines to sweat in heated conditions or expand and contract outside normal operational constraints. This can stress the valve and lead to problems down the road. For hot lines, globe valves are often a significant point of heat loss. 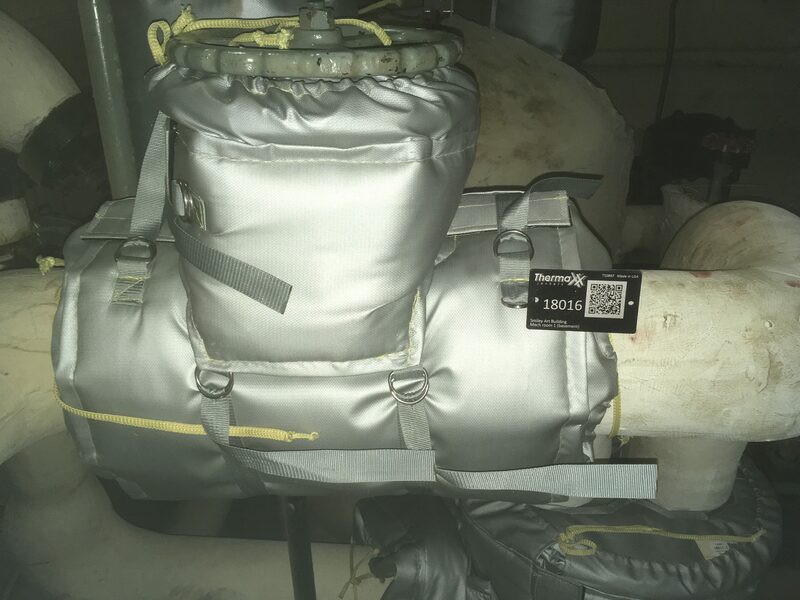 Removable insulation on globe valve, therefore, can be very beneficial. The Right Fit: Globe valve jackets are available in standard sizes ranging from 2” -12” and may also be custom made to fit your needs. Our standard line includes covers for Crane, Nibco, Velan, Hammond, Sarco and Stockham globe valves. In addition, our skilled designers can craft custom insulation covers for non-standard globe valves or other components. 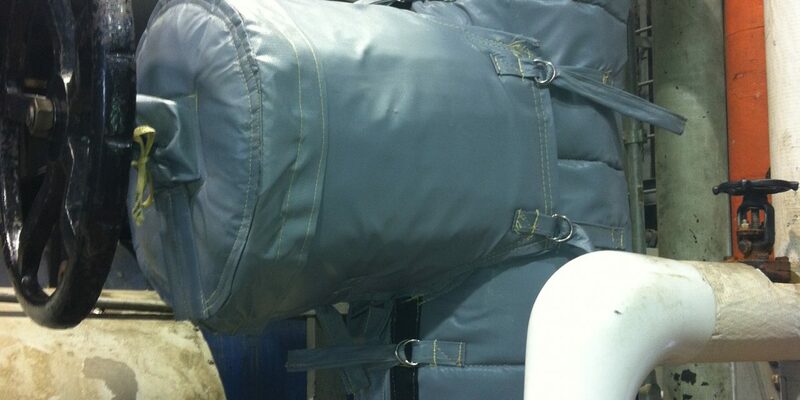 Convenient: Our jackets have velcro and d-ring closures, use seal flaps to connect the removable jacket to the adjacent insulation. Because of their flexible design, Thermaxx Jackets are also easy to remove and replace, which only takes about 5 minutes. This means that you’ll reap the benefits of an insulated valve without having to sacrifice accessibility. Cost effective: Our standard globe valve jackets have a thickness of 1”, 1.5″, or 2”, and can withstand temperatures up to 6000. 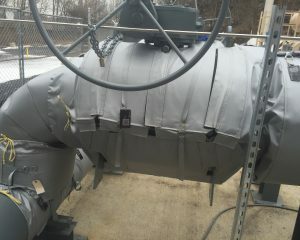 We can insulate hotter components upon request. 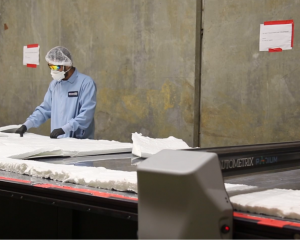 Additionally, we can customize thickness, sizing, and material if needed to maximize return-on-investment and make sure you get the best product for your money. High Quality: Our globe valve insulation jackets are made with you in mind. The product will last several years, and we back that statement by a 5-year warranty. Got Questions? 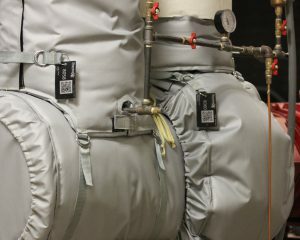 We’ll be happy to help you to determine if Thermaxx Jackets provide a solution for your globe valve insulation needs in your plant. For more information, contact us!